HHS Archives - City the Kitty - Official "I’ll give you the same answer I gave the last ‘wave’, and will continue to give: Not everyone shares your view, but thank you for your opinion. If you REALLY care and want to do something productible that would affect massive numbers of animals, please put your efforts into promoting spay/neuter. Sherry"
But we really do have a problem. 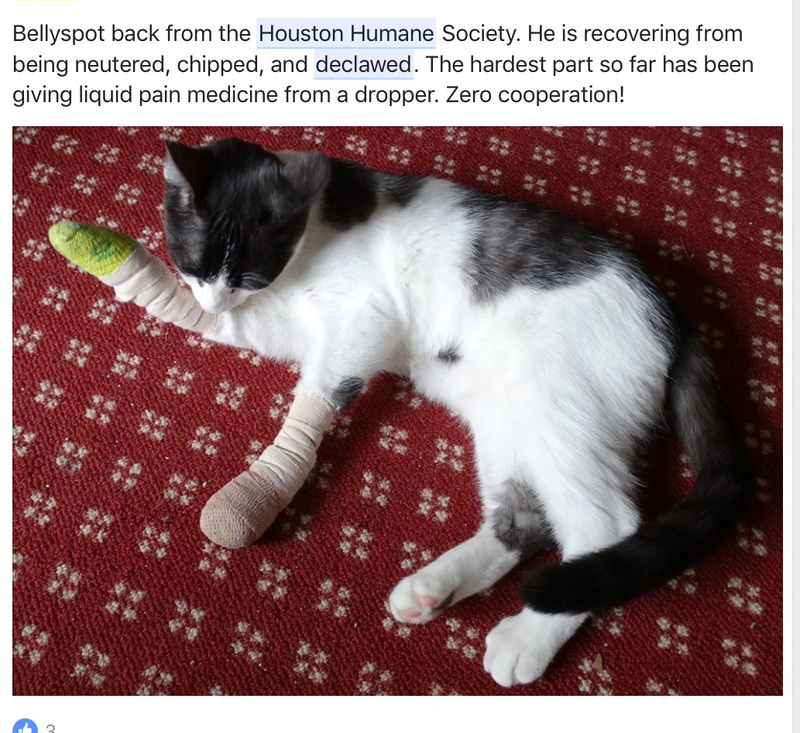 when an organization that is ALL about being humane to animals, is declawing cats that people adopt AND at their Houston Humane Society Clinic and they don’t counsel people about what declawing is or about the HUMANE alternatives. They are deceiving cat owners to think that it is humane and ok for a cat.